The skilfully worked frame is joined by a clean and simple shade that adds elegance and originality to this collection. Each piece is then completed with clear crystal drops. 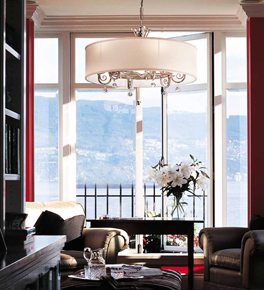 This collection includes chandeliers, wall lights and floor lamps.